Corwin Levi is a mixed-media artist, curator, and illustrator, who investigates the limits of vision, experience, and memory by constructing maps of the unknown. 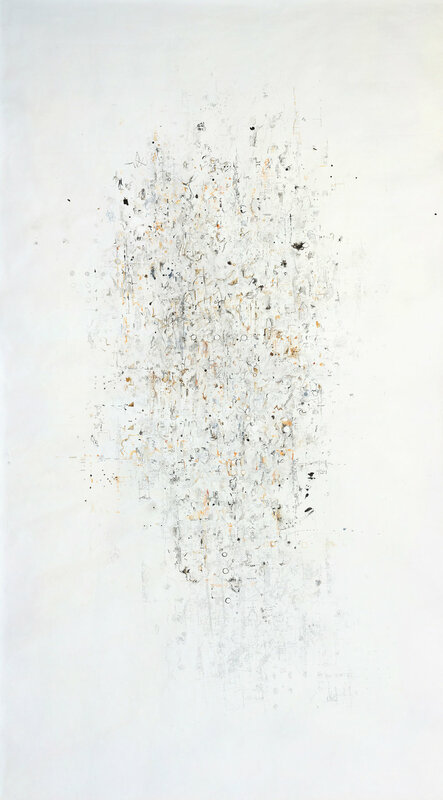 He has had solo shows, participated in group shows, and curated exhibits across the country, and has been reviewed in publications such as the Washington Post, Art New England, and on Bloomberg TV. He also co-published Mirror Mirrored: A Contemporary Artists' Edition of 25 Grimms' Tales, in which 28 artists reimagine classic Grimms' stories. 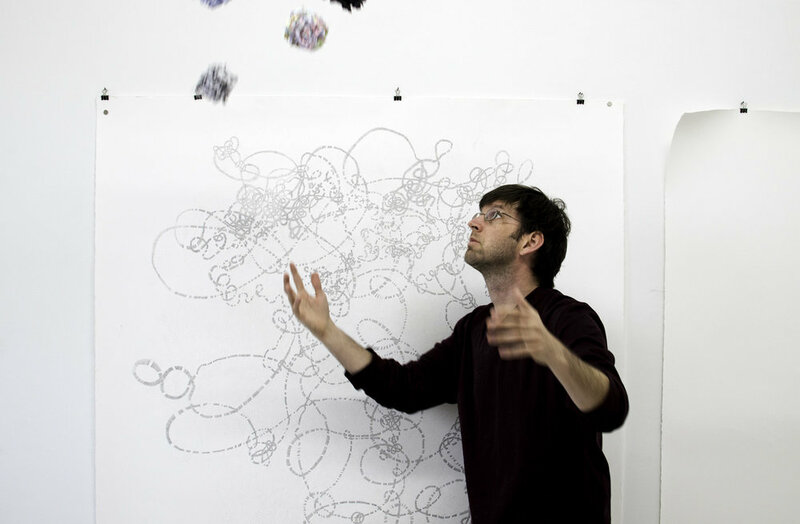 Levi has attended over twenty different artist residencies. He has created public art, including a 175-foot-long mural in North Adams, Massachusetts, across from MASS MoCA. Corwin has a BA from Rice University, an MFA from the Tyler School of Art, and a JD from the University of Virginia. Levi draws inspiration from his travels and has lived in eighteen cities in twelve states. "While some art heightens our sense of reality, Corwin Levi’s ... opens the door to the unknown. Levi eschews horizons in favor of submersion. The effect? We drown in stars, waves, and words. Place and time remain mysterious. These paintings evoke maps and star charts, but there are no legends or grids. There is no compass rose to help us orient ourselves. Lines, resembling roads, lead nowhere. Words offer little direction. Though some storybook figures and waves seem familiar, the appropriated skillfully merges with the invented to create a unique experience, one that embraces mystery over answers." "The void" has always existed. Yves Klein famously leapt into it. Anish Kapoor noted "[t]he void is not silent" and described it as "that very first moment of creativity where everything is possible and nothing has actually happened." I see the void not as containing nothing, but as containing the basis for everything. Rather than being a space where everything is possible and nothing has happened, we see it as a space where everything is possible and has already happened--but we most often have access only to sparks of creation and must work out the actual creating ourselves. The void, then, is uniquely personal to each individual. It is the space in which everyone's creativity and power exist and from which we can glimpse moments of what is possible. At the Roswell Artist in Residence Program, I made a series of mixed-media works investigating this space.